Is the U.S. Air Force Ready for a New Light Attack Aircraft? The U.S. Air Force is expected to hold demonstrations this summer to show off the capabilities of a new light attack aircraft the service might eventually purchase under a new OA-X program. The Air Force had attempted to buy a light attack aircraft in 2008 under a previous iteration of the OA-X program, but ultimately that effort came to naught. The previous OA-X effort came at a time when the Air Force was fighting two counter-insurgency wars simultaneously in Iraq and Afghanistan, but political forces and bureaucratic inertia within the service carried the day. How this latest iteration of the OA-X will fare is an open question — but undoubtedly there are those within the Air Force who will vigorously fight the purchase of any new tactical aircraft that isn’t the Lockheed Martin F-35 Joint Strike Fighter. Nonetheless, the Air Force is proceeding with its planned demonstration effort. The hope is that an operational OA-X would eventually free up more expensive fighter aircraft such as the Boeing F-15E Strike Eagle or F-35 Lightning II for missions against more challenging foes. “We want to see if there’s a business case there,” acting Air Force Secretary Lisa Disbrow said during a speech at the Air Force Association’s Air Warfare Symposium. But at its core, the Air Force faces a dilemma between investing in expensive high-end multi-role combat aircraft or cheaper counter-insurgency — or COIN — machines that might not be useful outside of certain specific situations. “The Air Force is torn,” Richard Aboulafia, vice president of the Teal Group aerospace consultancy told The National Interest. Former Air Force B-52 pilot and air power analyst Mark Gunzinger at the Center for Strategic and Budgetary Assessments said that this time around, the Air Force is likely serious about the OA-X. The service desperately needs more aircraft to provide more flying hours for its pilots and a low-cost OA-X could be just the answer the Air Force is looking for. 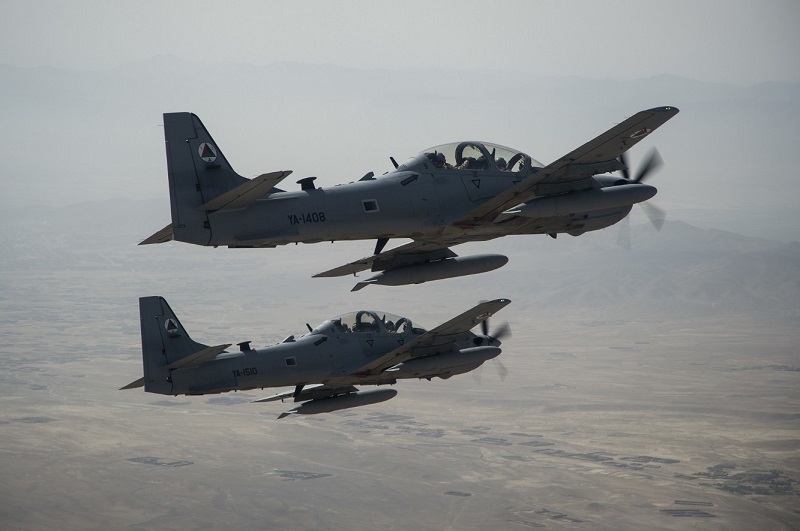 “The Air Force has been clear it is pursuing a light attack aircraft — perhaps more than a single variant over time — that could support counter-insurgency operations in permissive environments as well as increase the number of cockpits available to season pilots at an affordable cost per flying hour,” Gunzinger told The National Interest. Col. Michael Pietrucha — one of the originators of the 2008 OA-X concept — wrote in War on the Rocks that the demand for aircraft fighting counter-insurgency wars shows no sign of abating. “We can no longer pretend that the demand for combat air power in irregular conflicts will end soon,” Pietrucha wrote. Gunzinger agreed that the Air Force needs the OA-X. However — like Pietrucha — he noted that a light attack aircraft is not a substitute for a high-end warplane that can take on the most capable threats coming from Russia and China. “Of course, I do not see a light attack aircraft as a weapon system that should take the place of current and planned 5th gen and eventually 6th gen combat aircraft,” Gunzinger said. Ultimately, only time will tell if the Air Force ends up buying the OA-X. Institutional forces within the service are strong, and only determined leadership from the chief of staff, Gen. David Goldfein — and whomever the next secretary is — can push the OA-X through to fruition.